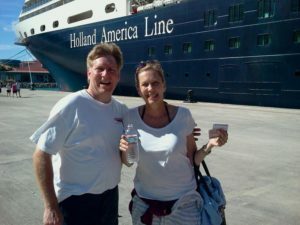 Scott and Marty enjoying another Holland America Line cruise! It’s no secret to those of you who have followed me on social media over the last few years that I’m a huge fan of Holland America Line! My wife Marty, (34 years and counting) and I have over 150 days sailing on Holland America. Many years ago, a close friend and his wife introduced me to cruising. 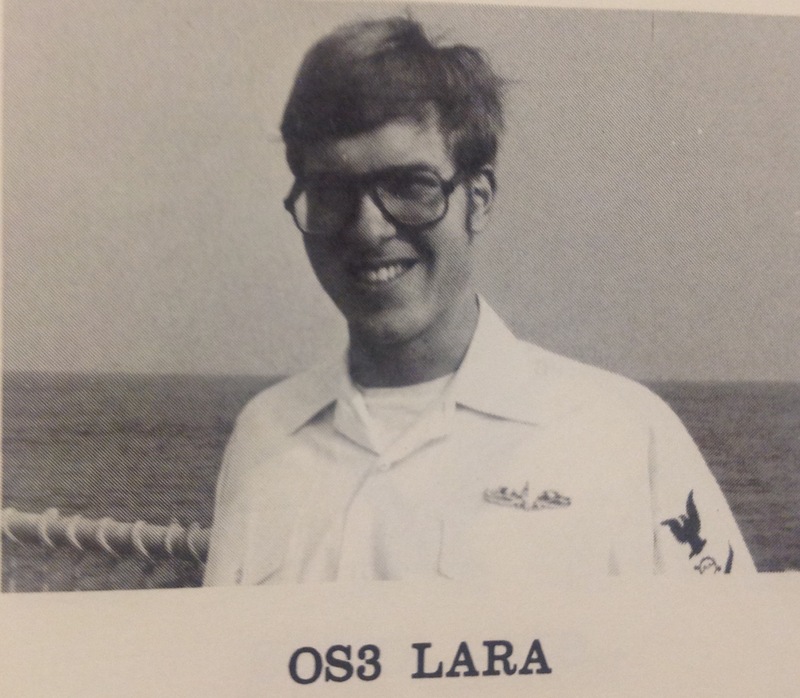 I must say that my real first experience of cruising was during my U.S. Navy days in the 1980’s, but the food wasn’t all that good. The Cruise Genius at sea back in 1982. Yes, my first civilian cruise was on the Carnival Fantasy, but my friends, who now have over 700 sailing on Holland America Line, invited us to join them and their family members on the M.S. Maasdam for their annual Thanksgiving cruise! Marty and I quickly fell in love with the ship, the crew and the service! Shortly thereafter, I began shooting video on each of our Holland America cruises. If you scroll down to the very bottom of this page and click on the link “Scott Lara’s YouTube videos”, you can scroll through a ton of my cruise videos. 1. Great value. Everyone is looking for the best value for their vacation dollar. 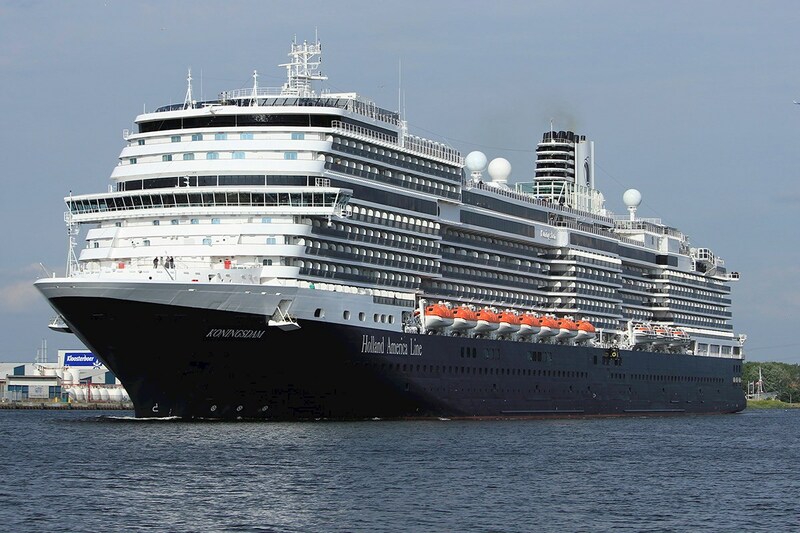 Holland America Line, while constantly delivering 5-star quality across the board, is affordable at any budget! 2. The crew. The smiling faces of Holland America Line keep us coming back time, after time, after time! Everyone is so kind and go above and beyond to make your cruise memorable! 3. 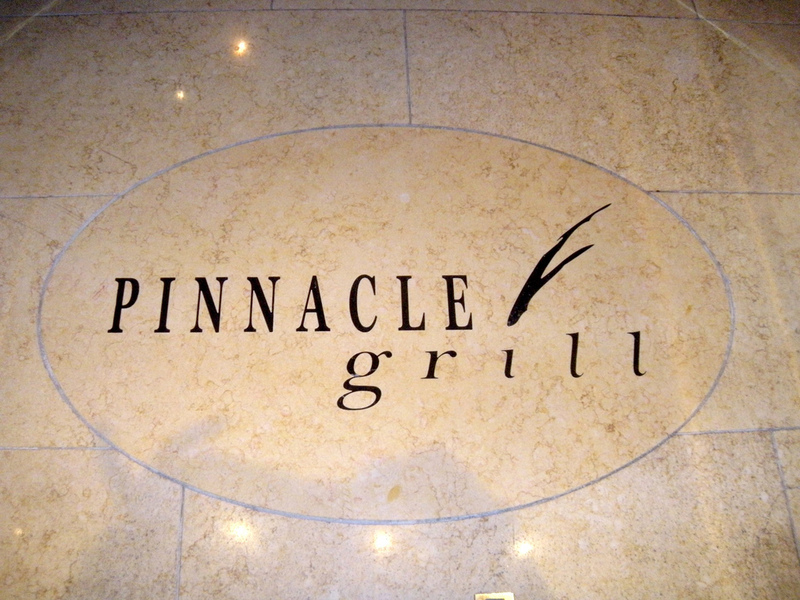 The specialty restaurants. 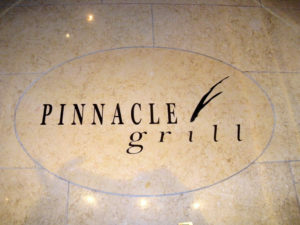 Sel de Mer, Tamarind, Caneletto and the Pinnacle Grill are amazing and worth the small fee. Each one provides a unique dining experience that’s unlike anything you will find on land. 4. The ships. No matter if you choose one of the smaller ships, Rotterdam, Maasdam, or one of the larger ships, Koningsdam, Eurodam or the brand new, (coming soon), Nieuw Statendam, each ship is a floating 5-star destination! The multi-million dollar artwork, the variety of entertainment venues, and tradition of cruising lives on each ship. 5. The destinations. Holland America Line offers a wide variety of sailing schedules allowing passengers to visit destinations and ports of call around the world. Popular Holland America Line itneraries include cruises sailing to Alaska, Australia & New Zealand, the Caribbean, the Panama Canal, U.S Eastern Seaboard, Hawaii, the Mediterranean, Mexico, The Orient, the U.S Westcoast, and more. 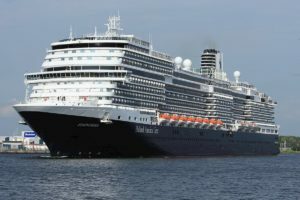 Interested in sailing on Holland America Line? Feel free to contact me at slara1961@gmail.com. Marty and I may join you!!! !